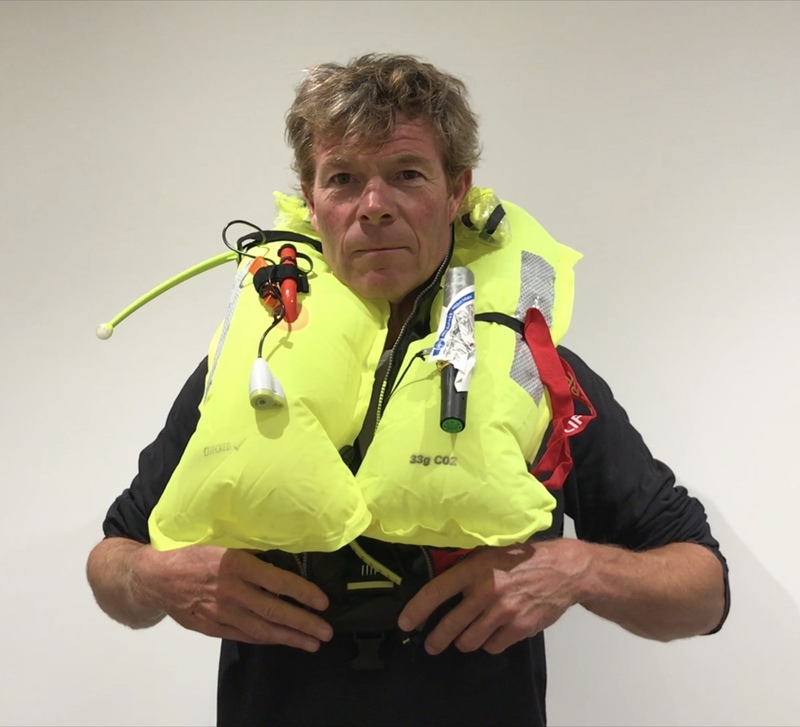 There are many choices of lifejackets on the market but only a few are suitable for ocean rowing. To ensure your safety whilst at sea, it is paramount to get the right one. HOW DO I KNOW WHAT NEWTONS TO GET? The lifejacket buoyancy is measured in Newtons (N). 150 Newtons is recommended for adults for ocean rowing. Some manufacturers make lifejackets of 170N. This provides a little more buoyancy. You will see lifejackets offering 275N, these are designed for commercial use where users are wearing heavy clothing and equipment. 275N is not required for ocean rowing. WHAT IS THE DIFFERENCE BETWEEN MANUAL, AUTOMATIC AND HYDROSTATIC INFLATION? A manual inflation requires the wearer to pull the inflation cord to inflate the lifejacket. This type of inflation method is required for ocean rowing. An automatic jacket inflates when a small pellet (sometimes made of paper) gets wet, dissolves which releases a spring, in turn firing the gas canister. Due to the nature of ocean rowing, with rowers encountering large waves whilst on deck, this type of inflation is not ideal. An automatic lifejacket also has a manual pull cord option for inflation. A hydrostatic (or Hammar) inflation is similar to an automatic, except it will only activate when submerged in about 10cm of water. This type of inflation is ideal for ocean rowing. A hydrostatic lifejacket also has a manual pull cord manual option for inflation. - Shall have gas inflation with either manual or hydrostatic operation. - An inflation test should be carried out on all lifejackets (orally inflate and leave for 24 hours) to test they hold air and stay inflated. At Rannoch Adventure, we recommend using Spinlock lifejackets. There are also other brands available that are very good. WHAT ARE THE ADDITIONAL FEATURES FOR? The build-in flashing light(s) are activated when the lifejacket is activated. This improves your visible at sea and increases the chances of rescue. Use the whistle to attract attention and improve your chances of rescue. 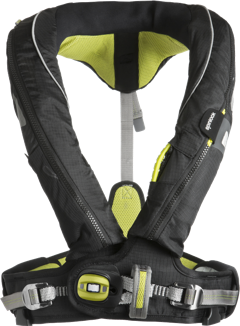 Wearing the crotch strap ensures the lifejacket remains in an ideal position and stops it from moving up your body and potentially slipping over your head. Using the spray hood will prevent spray and waves from hitting your face, therefore decreasing the chances of secondary drowning. The tape is standard on all lifejackets and increases your chance of being seen. CAN I BUY A SECOND HAND LIFEJACKET? It is possible to buy a good quality second-hand lifejacket, however, at Rannoch Adventure we advise our customers to buy all safety-related equipment brand new to ensure they are 100% reliable. If you do buy a second-hand lifejacket, ensure its has been tested, throughly chekced and a new cylnider is replaced immediately after testing. Make sure to try your lifejacket on before purchase to ensure it is the correct size and is comfortable. May brands now offer several adjustable straps on the jacket to make it fit like a glove. Put your name on your lifejacket and know where it is located at all times, so when in need you can put it on within minutes. Understand how it works and test it before any big ocean rowing expedition. If you have any questions about a lifejacket or other equipment for ocean rowing, please get in touch with us via email on info@rannochadventure.com.